Leadership is the ability to bring a vision to reality. This is a key quality for startup founders and should be a key focus for anybody who funds and supports startups. 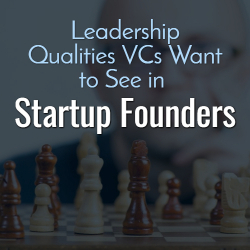 Here are a several qualities that are key for startup founders. Some of these are even contradictory to each other, which makes it that great startup founders that VCs want to invest in are rare to find. Great founders have a vision of what their field of interest / society should look like. This forward-looking vision can be clearly articulated, and is driving the corporation. It’s not only a vision “to make money” but founded on the product or service of the company. A great founder is also able to articulate this vision in a tangible way. It is not “We will change the world” but more concrete, reflecting their focus (great experience (Apple), low cost (Southwest Airlines),…). With this, great founders will ensure that every decision that has to be taken in a company can be measured against this vision. Great startup founders are critical and listen to advice. They question themselves and will implement the ideas of advisory, the VCs and listen to it carefully. They will get a personal coach or advisor and will also avoid to be a “know it all”. Ultimately, they will have one quality that for me always has been a key quality, whether in managers or startup founders: they are coachable. Some people are great by themselves. But they don’t listen to advice and that’s fine – but only up until a certain moment. The person who is coachable, however, will be able to learn and grow without limits. Startup founders engage with their environment and they will bend the reality to make their vision happen. They do not accept a “no” easily and will make everything possible happen to break through barriers and convince other parties (government, teams, boards, customers…) to accept their proposal. They do not stop and will try again. They are persistent and will make that 4th and 5th call with a prospect. They will continue to fight to get to a yes. It is that amount of trying and not fearing rejection that is something very measurable to look out for in start-up founders. Because by definition they are entering a new and unknown space and will face massive rejection. Great startup founders will enable their teams with the right tools and feedback to quickly grow. They coach, guide and mentor their people so that they can all do optimally their job. They are also the first to learn and keep on learning; they are constantly trying to see how they can optimize themselves and their product. You will find great founders being the ones taking notes at conferences, asking questions, debating, and taking a topic apart in 1-1 conversations. Great startup founders are energizers. They passionately sell and communicate their vision and their product. They constantly pitch their idea and have a burning desire to evangelize their products. People can see that they live and breathe their product. A founder will also not stop communicating and learn how to better present and pitch. There, a key quality is the ability to find, uncover and tell the story about the customer’s problems and the idea, product or service that the company has. It’s from this story that sales are being generated. Great founders are not talkers but doers. Great startup founders are not politicians looking for power and coalitions but people of action and implementation. They have a drive to “ship”, to create something, to go forward and implement. Their philosophy is “ready, fire, aim” and they adjust while being on the run. You can test their mode of action on the metric of implementation. Between two meetings, how many concrete things, not talk, but concrete things have been implemented? A great startup founder will immediately be able to list those, while others will share “only” plans and ideas. Some of the qualities above are contradictory in nature, for instance the ability to be coachable and the willingness to bend reality. And maybe it is really this ability to combine unusual and even contradicting traits that is the key thing a VC is looking for. Not a lot of people have these abilities, that’s why I recommend being on the constant lookout for them. 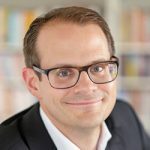 Lars Sudmann is the partner of Sudmann & Company, a leadership advisory consultancy. He is the former CFO of Procter & Gamble Belgium and is now active as board advisor and consultant to PE firms, startups and multinationals for leadership development and strategy.